Shayna is an active or energetic girl who does not like to sit still. While her sisters watch TV, Shayna spends an active or busy afternoon playing outside and walking the dog. Even when she does finally sit down, she has such an active or lively mind that she is either writing stories or painting pictures. It is a good thing that her dad is active or moves around a lot as well, or else he’d never keep up with her! Quiz: Try again! What is a dog like that is active? He prefers to lie around on the couch. He really likes to be on the go. He loves to be petted quite often. Someone who is active is full of movement or is energetic and lively. Act Alive When you are active, you act alive! Someone who is active likes to “do” things. 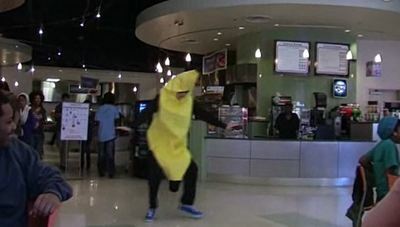 YouTube: It's Peanut Butter Jelly Time in Real Life This is one active banana!